Two workaholic parents don’t make time for Christmas until circumstances force them to do so. There’s a lot on the line for them all, but most importantly is the wellness of their family. 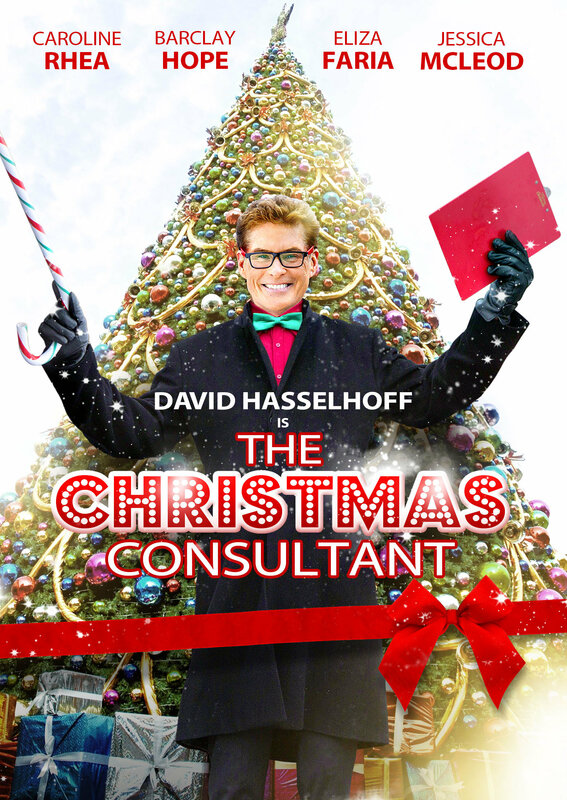 In comes the eponymous Christmas Consultant, Owen, played by David Hasselhoff, who guarantees to make their holiday dreams come true. Owen is a lot. Like, so much. But while we as audience members are just annoyed, the kids on screen are won over pretty quickly. I’m just not sure that Hasselhoff has this level of cheer inside him. It seems like he is acting the whole time, which he is, but that’s not the kind of thing your audience should be thinking while you’re doing it. He looks great and the costuming is spot-on, but this dude is NOT one of Santa’s Elves. Luckily, his storyline is not what we think it is and perhaps he’s supposed to have that tinge of sadness to him, but it doesn’t come off as foreshadowing as much as it does chintz. Negative points for a Guantanamo Bay joke. Torture isn’t funny. This movie is worse than most. It’s actually difficult to watch, even with the Hoff and Caroline Rhea, who is actually pretty funny and was delightful in Sabrina The Teenage Witch. Production is good, costumes are good, and the plot is original. But the execution is all wrong.